Master the ancient Chinese martial art of Shaolin Kung Fu with this illustrated martial arts guide. The style of martial arts described in this book is believed to have developed from a form devised at the Shaolin Temple by the Indian monk Bodhidharma. Called Shih-pa lohan shou (Eighteen Arhat Hands), it was the original Lohan form. Its purpose was to provide monks with exercises that would not only strengthen their bodies and minds but also arm them with a formidable system of self-defense. The authors present the Lohan techniques of south China (as taught by the Hood Khar Pai) in both solo—and partner— practice forms. Intended as a supplement to actual training, Shaolin Lohan Kung-Fu gives the history of the Shaolin arts and then continues with a detailed explanation of the Lohan form. Accompanied by almost 30 sketches and over 400 black-and-white photographs, this straightforward introduction to the Lohan system is a must for any serious student of Shaolin techniques. Chapters include: Background of Shaolin Kung Fu; Fundamentals of Shaolin; The Lohan Pattern; Shaolin Training Methods; and more! 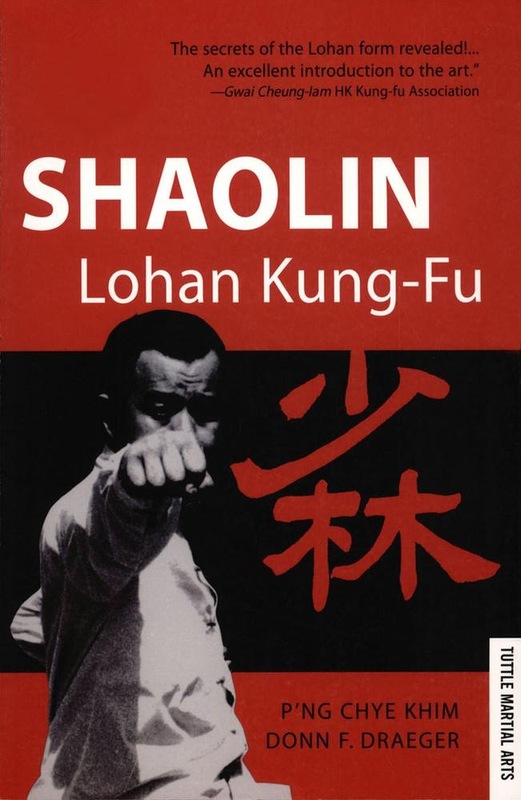 Acquista Shaolin Lohan Kung-Fu in Epub: dopo aver letto l’ebook Shaolin Lohan Kung-Fu di Donn F. Draeger, P'ng Chye Khim ti invitiamo a lasciarci una Recensione qui sotto: sarà utile agli utenti che non abbiano ancora letto questo libro e che vogliano avere delle opinioni altrui. L’opinione su di un libro è molto soggettiva e per questo leggere eventuali recensioni negative non ci dovrà frenare dall’acquisto, anzi dovrà spingerci ad acquistare il libro in fretta per poter dire la nostra ed eventualmente smentire quanto commentato da altri, contribuendo ad arricchire più possibile i commenti e dare sempre più spunti di confronto al pubblico online.